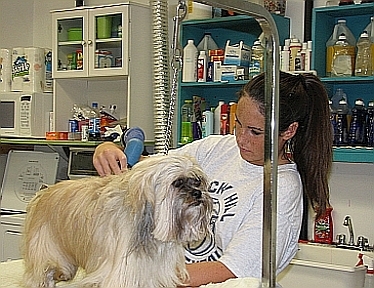 At Express Your Pet, we believe that every pet deserves to be pampered. This is why we choose to offer a wide variety of services to spoil your Baby! We add little extras to make even a basic bath special at no extra charge to you. Upon arrival to your doggies appointment, you will always be consulted to ensure that we completely understand how you want the finished style to look. 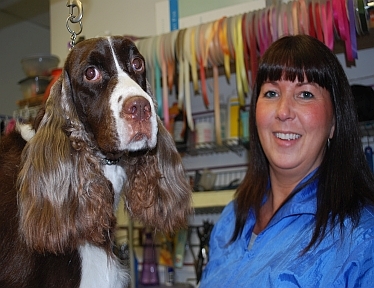 In fact, we consider ourselves Pet Stylists as it is so exciting to make the look you have requested come to life! Please feel free to ask us for suggestions, as we are always educating ourselves on the latest styles and have a feel for what will look great on your baby. Yes, we are equipped with state of the art equipment that can easily accommodate the largest dog! 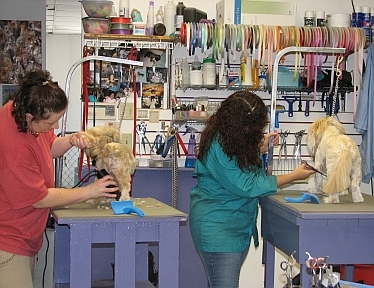 Breeds with longer coats should begin the grooming process as soon as the second set of shots have been completed. 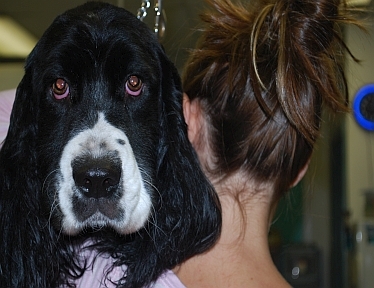 My dog is shaking - does that mean he is scared or doesnt like the groomer? Not necessarily, he may just be excited from the car ride or not sure if he is going to the vet to get a shot. It is important to be calm and reassuring. Much like kids in pre-school, once you are gone they settle in and get comfortable. My dog is matted but I want to keep his hair long. Is that possible? Upon arrival, we will check your dog for matting. We will discuss with you the degree and if we think we will be able to remove them without discomfort to the dog. We pride ourselves with having the best equipment and grooming aids to assist in matt removal.